A cooling t-shirt for budding superstars. A shirt graced by legends. 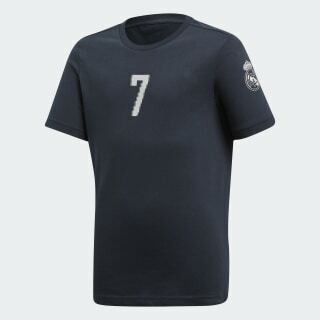 This kids' football t-shirt displays a "7" graphic on the front in honour of the world-class players who have worn that famous jersey number for Real Madrid at the Santiago Bernabéu. It's made of soft single jersey fabric that keeps them cool and dry in warm weather.